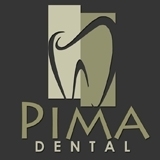 Pima Dental - Family, Cosmetic & Implant Dentistry (Scottsdale) - Book Appointment Online! Whether you need something as small as a filling or in need of more complex dentistry, Dr Schwartz is here to serve you. Emergency patients are seen the same day. If you have a dental emergency we have a board certified Endodontist on staff to do root canals. Don't suffer in pain. Need your Wisdom Teeth out? We have a hospital trained dentist on staff. Missing a tooth and want it replaced with an Implant? We place implants right here in our office. No need to be referred out to multiple offices. Looking to straighten your teeth with orthodontics? Have you had a consultation for Invisalign? Make an appointment today for a free consultation. Whether in a business setting or social, your smile says it all. It reveals so much about your own self-esteem and the confidence you feel. With sensible health practices, good dental health care and oral hygiene, you should be able to maintain your teeth throughout your life. If a dental disfigurement or impaired teeth make you hide your smile, cosmetic dentistry performed by Dr. Bruce Schwartz @ Pima Dental has never been a better choice. There are new options available now that can change your life forever. No more hiding the joy you can feel with perfect teeth because these new procedures are no longer for the wealthy or famous. They are available to everyone.